from left: Ms. Fu Heng 付恒, art teacher at Guiyang Hualin Middle School 贵阳华麟中学; retired English teacher Twinkle Cao Shan 曹闪; Rose Yu Lu, English teacher at Guiyang Hualin Middle School 贵阳华麟中学 ; Sandy Yue Junwei 岳军维, English teacher at Guiyang American-Canadian International School 贵阳美加国际学校; and exhibitor, a Shui minority embroiderer, and her daughter. from Textile Treasures website, www.textiletreasures.info/ : The People’s Republic of China officially recognizes 56 nationalities which make up their population. The Han people speaking dialects of Chinese comprise approximately 91% of the population, while the minority nationalities belonging to various other linguistic groups compose the remaining 9%. The Miao, Dong, Zhaung, Yi, Yao, Hani, Buyi, and Maonan living in mountainous areas of the southwestern provinces of Guizhou, Guangxi, Hunan, Yunnan, and Sichuan are the main minorities whose incredible work are represented in our website. English corner at Hualin Middle School, Guiyang 贵阳华麟中学, Nov 2013. Organizer of this English corner is Hualin’s English teacher Rose Yu Lu, tel: 138 0945 1835. The Discovery Channel is on Channel 142 here in Guiyang and it featured the “New Information” recently released from the national archives after 50 years. It was about the same stuff I remember from 50 years ago. I suppose there are a lot of Chinese that don’t know what happened 50 years ago. It is amazing how I was only age 12, and I still have it burned into memory, better than what happened to me last week. Today I wonder how the world would have been different if there hadn’t been the cynical hatred that led to the killings of the 1960s (Bobby and Jack Kennedy, MLK et al). Would we have stayed in Vietnam? Would there have been race riots? I think about the Rolling Stones “Sympathy for the Devil” lyrics about “Who Killed the Kennedys?”. Well does it make sense to wonder what it would be like to live in a world without tornadoes, floods, earthquakes, and hurricanes? Hatred is a force of nature. Living in a foreign country doesn’t take away the feelings of being an American. It accentuates many feelings. We are protected from the day to day grind of 24 hour news, but we have more time to ponder what is it like to be a citizen of the USA and a citizen of the World. Well this is an emotional time for all of us old farts I guess . . .
1. Guiyang-Xifeng Concentration Camp (Wujiang Scenic Zone)-Site of the Zunyi Meeting (Huagang Martyrs Cemetery)-Site of the Ninth Headquarter of the Red Army in Meitan and the Anti-Japanese Culture of Zhejiang University Moved to West China-Site of the Loushan Pass BattleLesser West Lake Anti-Japanese Culture in Tongzi-Renhuai. Xishui and the Memorial Site of Crossing the Chishui River Four Times. 2. Guiyang-Red Maple Lake-Anshun City (Former Residence of Wang Ruofei, Confucius Temple and historical streets)-Dragon Palace-Huangguoshu-Wanger River Reservoir, Qinglong Anti-Japanese Culture (Guanling Yongning Steel. Shier Bridge and the 24 Bends in Qinglong)-Maling River. 4. Guiyang-Duyun-DushanLibo ( Former Residence of Deng Enming, Shuipu Village, and Banzhai where the Seventh Red Army Joined Forces with Other Armies)-Pingtang (Jinpen Landscape in Shuicheng County, Geological Marvels in Zhangbu, rural tours, and Jiacha Leisure and Holiday Zone)-Sandu which links with Liujiang, Liping, Congjiang and Rongjiang Dong Culture Tourism Zone. 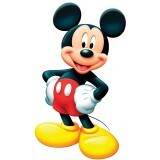 Well I have bowed to requests and removed one picture of a rat. After all my experiences with rats I get kind of a warm fuzzy feeling when I see a dead rat, or even a live one that is hopelessly trapped. So my perspective is a little different. This blog about living in Southwest China is supposed to cover what life is really like, what we struggle with, what we like. So this is the definitive story on rats, at least in my life. I haven’t seen a rat in my place for over a month now. I think the problem is solved. I have a macho mentality on many issues here in China. “I can handle it” is my attitude and it works for most things. A little over month ago I caught two rats, large ones, and drowned both of them. Then I called the “Waiban’s office” (Foreigner Boss) and told them that this was out of control and needed to be taken care of. I am a teacher at Guizhou Normal University of Guiyang, and the school is responsible for providing suitable housing. A day later a worker came by and we put a new secure plastic tube on the kitchen sink drain, where we figured they were coming in. It worked, for a few days. Another rat came up and ate the soft plastic of the tube and came through the hole in the pipe. I never caught that one. He left right after he invaded. I got the worker back the next day and we put a screen device in the plumbing to stop the rats from getting to the soft pipe inside the home. Problem solved. No more mice or rats. I learned something. When dealing with a health and safety issue, it is probably a good idea to ask for help sooner, rather than later. 1) Rats tend to stay in the kitchen area, wherever there is food . . . crumbs, etc. 2) The squeak of a rat sounds a lot like the chirp of certain kinds of birds. 3) Last week I found a bag of rice that was on top of the fridge. It had a hole in it. So if you think you have a rat in your kitchen, don’t just look down at the floor. Rats can be up high too, even above your head, wherever there is food. Guizhou Province has tremendous biodiversity and is attracting basic research. 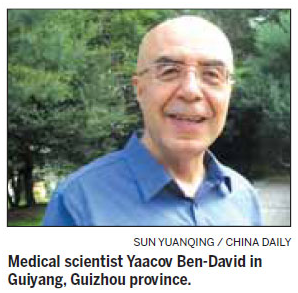 Yaacov Ben-David recently moved from Toronto to Guiyang, China: The following was taken from www.Chinadaily.com.cn and published on 10/22/2013. Updated: 2013-10-22A Canadian medical scientist has moved to China in the hope of discovering a cure for cancer using a mix of Western and Eastern medical practices. Yaacov Ben-David is an internationally renowned molecular biologist and he recently put down roots in Guizhou province in Southwest China, a place he believes the next generation of cancer cures will come from. With its ample resources of traditional Chinese medicine and specialists with the knowledge of how to extract pure compounds from natural herbal remedies, Guizhou is only a step away from finding the ultimate cure, Ben-David says. “They develop compounds from TCM but there is no one here to find the functions against the disease, particularly cancer. That is my expertise. I saw the match between me and this group,” he says. Based on TCM natural cures and ethnic medicines, Guizhou’s pharmaceutical industry totals 20 billion yuan ($3.27 billion) a year. It is now seeking driving forces through further research and innovation, and part of the effort is to attract overseas professionals. “Yaacov Ben-David makes up for what we lack the most, preclinical models for diseases, especially cancer. These models will help us select the right compounds against cancer,” says Luo Heng, a researcher in Ben-David’s tumor pharmacology research team at the Key Laboratory of Chemistry for Natural Products of Guizhou Province under Chinese Academy of Sciences. At a time when Western academies are suffering budget cuts, China is trying hard to attract more academics and entrepreneurs from abroad. In late 2011, the government initiated the One Thousand Foreign Experts Project, to invite more specialists into the country in the next 10 years. Successful candidates get a subsidy of up to 1 million yuan from the central government and scientific researchers can get 3 to 5 million yuan in research allowances. As a key foreign expert brought in by Guizhou this year, Ben-David is also applying for the project with his team in order to obtain stronger support for their project. The group already has 2 million yuan from the provincial government as startup funding and another 5 million yuan to build the largest international laboratory in Guizhou. This kind of support would not have been possible back in North America given the current economic situation, he says. Born in Iran, Ben-David received his PhD in Molecular Immunology from the Hebrew University in Jerusalem, Israel in 1987. He later served as a professor of medical biophysics at the University of Toronto and senior scientist of molecular and cellular biology at the Sunnybrook Research Institute. He successfully isolated several cancer genes responsible for the induction and progression of leukemia. He also identified the mechanisms of these cancer genes – knowledge which can be used for the clinical treatment of the cancer. In the last five years, he has focused on how to develop compounds and drugs against cancer, as he wanted to transfer his work from the lab to the hospital. Ben-David first visited the laboratory in Guiyang through an introduction by Yang Meili, one of his researchers in Canada who happened to be a former student of Hao Xiaojiang, director of the laboratory. When he saw how Chinese chemists were working to develop the wide range of flora in Guizhou for the use of TCM, he saw his niche. Apart from the financial and team-building support in China, there are also opportunities for breakthrough discoveries as few studies have been done about natural compounds extracted from TCM. As TCM is still not widely accepted globally, he hopes his research can change that. Yang Jun contributed to the story.